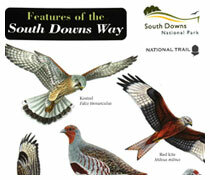 You can purchase a South Downs Way field guide from the Field Studies Council website. The South Downs National Park is a very popular visitor destination, with over 46 million day visits to the Park every year. This makes it the most visited of all the National Parks in the UK. 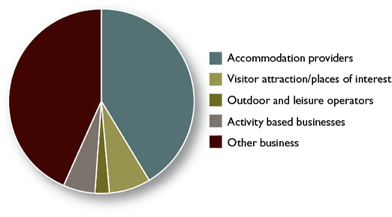 Most of these visits are from local people and the most popular activity is going for a walk. People also visit the South Downs to visit particular attractions such as the beautiful Queen Elizabeth and Seven Sisters Country Parks. These offer a safe, well-run environment for people to discover the countryside. Other popular activities include, horse riding and cycling as well as more adventurous activities such as canoeing, paragliding and mountain biking. Other popular reasons for visiting the South Downs include simply to enjoy the spectacular views and to find some peace and tranquillity. Tourism brings over £464 million into the National Park each year, and it supports around 8,200 jobs in tourism related industries. This makes it extremely important to the local economy. The South Downs National Park Authority (SDNPA) has to balance the duty to conserve and enhance the natural beauty of the area with the needs and expectations of the many visitors. This is a challenge and can sometimes lead to conflict. The National Park is working with other local organisations to promote responsible tourism and to increase the benefits that tourism can bring to the area without causing damage to this very special place. A PowerPoint presentation introducing facts, figures and impacts of tourism within the National Park. 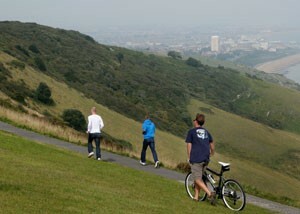 The full technical report of the South Downs Visitor Survey 2011-2012 providing facts, figure and data sources. A case study of The Shepherd’s Hut looking at the importance of landscape to a tourism business. A case study of Pitlands Barn looking at farm diversification and responsible tourism practices.